Registered Practitioners of the Institute for Outdoor Learning (RPIOL) are competent instructors, leaders or teachers with a passion and enthusiasm for outdoor learning. Once your RPIOL Application is complete please send this to the IOL Office with the interview date of your choice, if you would like an alternative date please give dates and time when you are available. Interviews are predominantly held via GoToMeeting. A Registered Practitioner will have been involved in delivering Outdoor Learning sessions to individuals or groups for 1-2 years or more, in either a paid or voluntary role. If you are an instructor, leader, teacher, youth worker, education officer or park ranger, etc. then RPIOL demonstrates your professional approach. RPIOL holders are excited about how outdoor learning helps people learn and develop. The award recognises how people provide safe and effective outdoor learning for individuals or groups. It is not a set syllabus, it is a process of bringing your range of skills, knowledge and experience together to show how you meet the RPIOL Criteria. Recognises your skills, knowledge, experience and awards for providing outdoor learning. Gives you space to reflect on your approach, style and career direction. Is flexible to fit where you provide outdoor learning – e.g. activity centre, school grounds, parkland, wider countryside, beach, lakes, sea, lowland, open moorland, upland or mountains. Shows a commitment to national criteria in Outdoor Learning. Promotes the experience and expertise of your organisation. Enhances and supports the career development of your staff. RPIOL is designed to mirror and run alongside staff induction and training programmes and university courses that include a strong practical element. RPIOL is accessed through IOL Approved Centres. The partnership between IOL and an organisation allows them to register, brief and mentor candidates and sign off the observed sessions. 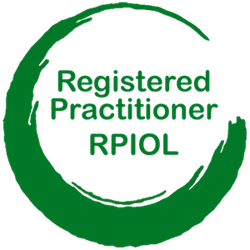 Each IOL Approved RPIOL Centre has an Internal Facilitator who is the main point of contact between IOL, the organisation and candidates. The straightforward application process to be an approved RPIOL centre checks that Internal Facilitators hold an APIOL award and are familiar with the current RPIOL process and criteria. IOL Approved RPIOL Centres can operate in any branch of outdoor learning, e.g. outdoor education, personal development, professional development, sports coaching, adventure tourism, outdoor therapy. Selects and delivers a well-structured sequence of sessions. Makes considered activity-risk-benefit decisions. Facilitates inclusive, safe and professional outdoor learning. Knows their teaching / instructional style. Supports others in the delivery of outdoor learning programmes. Understands the scope and environmental values of outdoor learning. Develops through critical reflection. Learns from others beyond their workplace or special interest area. Your outdoor 'CV' - the range of your experience, knowledge and skills. Your evidence against the criteria - reflection and learning from an external workplace visit, training course attendance and observation reports. Your career development - where you have come from and where you're going next. An assessment interview with an external assessor confirms that you can show you meet all the RPIOL criteria and have the professional attitude of a RPIOL award holder. Request a copy of the logo and guidelines for use on websites, brochures, etc.